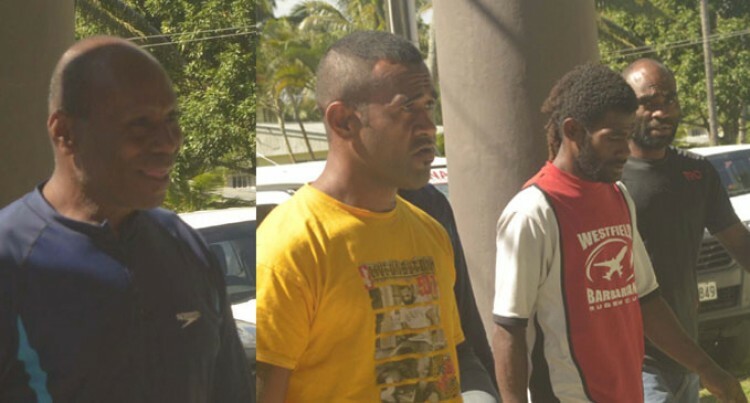 Four Navosa farmers were jailed yesterday by the Sigatoka Magistrates Court for unlawful cultivation of illicit drugs. The magistrate, Tomasi Bainivalu, told them marijuana killed brain cells and caused damage to it gradually. He highlighted the expenses of the Government in conducting the raid and that this illegal offence was committed deliberately. Mr Bainivalu told them that they could have faced a fine of up to $1 million, life sentence or both, noting the seriousness of the offence. He said it reflected the effort of Parliament in combating drug abuse. He jailed Iliesa Soqali, 38, Savenaca Kulanisa, 44, and Salesi Tukana, 35, for eight months. Serupepeli Wesivakarua was jailed for six months. Mr Bainivalu noted that the 27-year-old was the sole bread winner of the family. The four had pleaded guilty. Magistrate Bainivalu said Soqali and Kulanisa were caught during a Police raid in their farms with 156 seedlings of marijuana. Tukana was caught with 45 grams of cannabis seedlings and Wesivakarua was found with 31 grams of the same drug in his farm. Considering the mitigating factors and the early plea to their charges, Mr Bainivalu reminded them of the seriousness of the crime they had committed. He also considered the fact that all four had willingly led the Police officers to their farms where the seedlings were. However, he stressed the expenses of the Government in conducting the raid and that this illegal offence was committed deliberately. The four are among the 10 men who were arrested and charged during a joint Police-military operation called Operation Cavuraka in the Navosa Highlands. The remaining six, who pleaded not guilty, are in remand at Natabua Corrections facility. They will re-appear in court on July 4.